Premature babies and Week 8 Immunisations!!! So our DD finally had her first lot of the 5in1 Vaccines and the Rotavirus one too. It was so so sad watching her go through it especially seeing that big needle go into both her little legs (thighs) sob sob. Initially I was very torn about the process because not only is she a preemie but I really just couldn’t seem to want to put her tiny body through such an ordeal especially after reading on the topic of vaccines. Anyway we finally had the jabs done and Will keep you all posted of the aftermath. Here is some information on the vaccines. Hope you find it useful. Who should have the 5-in-1 infant vaccination? The 5-in-1 vaccination is recommended for all babies who are 8, 12 and 16 weeks old. How is the 5-in-1 vaccine given? The vaccine is injected into your baby’s thigh. Diphtheria is a serious, potentially fatal, disease that usually begins with a sore throat and can quickly develop to severe breathing problems. It can damage the heart and nervous system. Diphtheria spreads through close contact with an infected person. Tetanus is a painful and potentially deadly disease that affects the muscles and can cause breathing problems. It is caused by bacteria found in soil and manure, which can get into the body through open cuts or burns. Whooping cough, known medically as pertussis, is a disease that can cause spells of severe coughing and choking, making it hard to breathe. It lasts for up to 10 weeks. It’s not usually serious in older children, but it can be very serious or even fatal in babies under the age of one. Polio is a virus that attacks the nervous system and can permanently paralyse the muscles in the arms and legs. If it affects the chest muscles, it can kill. What is Haemophilus influenzae type b (Hib)? The Hib bacteria can cause a number of serious diseases, including epiglottitis (a severe form of croup) or meningitis. Can the 5-in-1 vaccine be given with other vaccines? Yes, it can be given at the same time as the Men C vaccine and the hepatitis B vaccine, but the shots need to be injected in different parts of the body. Can a baby’s body cope with so many vaccines at once? Yes, they can. Every day, small children come into contact with thousands of germs. They pick them up off the floor or in the garden when crawling or toddling about. They get them off toys in their toy box or toys they have shared with other small children. Their skin (if you looked at it under a microscope) is covered in thousands of germs – some good, some bad. Babies and toddlers routinely shrug off the threat that these germs may pose. Their immune system is designed to do this. 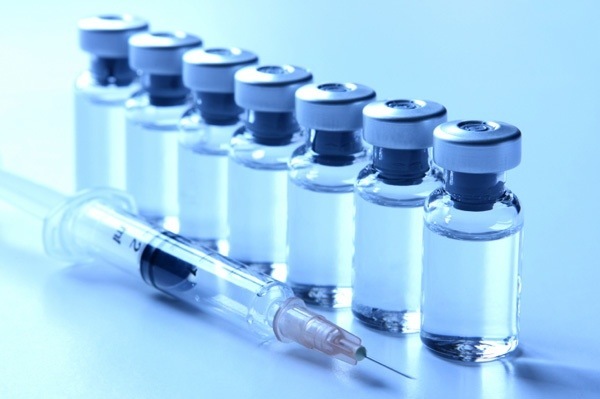 Far from overloading them, vaccines help their immune system to build up extra resistance. This means they are better protected against potentially serious diseases. How safe is the 5-in-1 vaccine? It’s very safe. Before a vaccine can be licensed for use, it has to go through many tests to check that it is safe and that it works. These checks continue even after a vaccine has been introduced. Only vaccines that pass all of the safety tests are used to protect your children. For more information, see How vaccines are tested. What are the most common side effects of the 5-in-1 vaccination? Your baby may get pain, redness and swelling at the injection site. They might be more irritable and feel slightly unwell. These side effects tend to be minor and very temporary. For more information read about 5-in-1 vaccine: side effects. How soon after the 5-in-1 vaccination can I take my baby swimming? You can take your baby swimming at any time, both before and after they have been vaccinated. For more info visit the nhs website.